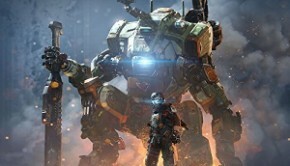 Titanfall was one of the most anticipated games ever, a mecha meets Call of Duty title created by the very developers behind the first two epic Modern Warfare games. 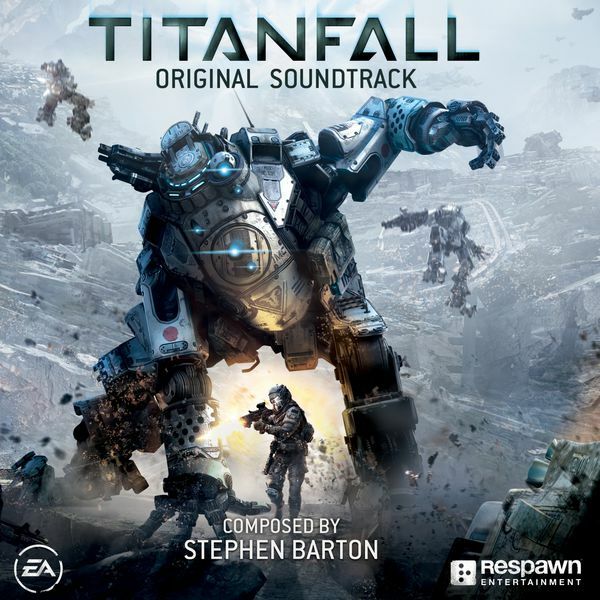 Even the composer for Titanfall, Stephen Barton had contributed to the original Modern Warfare game. 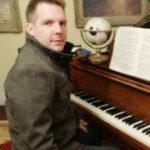 Most of his other well known involvements have been in movies thus far, helping with the music for hit movies such as Man of Fire, Shrek, and The Chronicles of Narnia under the lead of Harry Gregson-Williams. With this title, he offered his highest-profile solo score to date. Could he deliver a blockbuster score to a blockbuster game? The majority of the soundtrack is exactly what you’d expect: a pure blockbuster experience that has been designed for hectic and explosive gameplay. Expect epic brass and strings, heavy percussion work, and Hollywood-style electronics typical of the Remote Control Productions sound throughout. From the get go, this was advertised as a game that doesn’t really have a main campaign, but instead is fully multiplayer-driven. 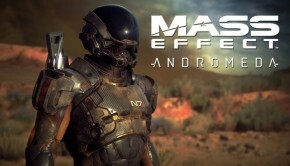 As a result, listeners shouldn’t expect a memorable character-driven experience from this. 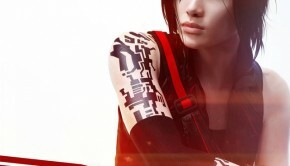 Most of the tracks are action-driven and meant to be experienced during gameplay rather than on a stand-alone level. What we’re left with is an adequately mixed and cutting-edge sampled experience that will have your adrenaline pumping for the entirity of the soundtrack. Note that I used the word adequate and not excellent when talking about the mixing, because at times the soundtrack tends to go crazy at different volume levels gargling the sound. Still, it is nothing too distracting. As for main theme, the closest listeners are going to get is “Welcome to the Marauder Corps”, a colourful mixture of acoustics, percussion and strings, all playing a pretty memorable melody. Players will hear this mostly at the loading screen, when getting ready for the next battle. A variation of the melody is heard in “When Two Sides Go To War”, which although just as colorful, is a bit more dark and melodramatic. The acoustic work stands out in this as well. “MacAllan’s Endgame” is the last track I would like to mention due to its heavy orchestral nature. Following the structure of some other tracks, it too begins slow and emotional, but picks up the pace by the end due to the addition of hectic string and percussion work. It’s used in a big spoilerific scene, and once again Barton channels a well-established cinematic sound for effective in-game results. These tracks are also likely to be enjoyed on a stand-alone basis for those with a strong affinity for the big Hollywood sound. Overall, this soundtrack will be well-suited for people who love listening to mostly blockbuster-style electro-orchestral hybrids. Those looking for a more complete stand-alone experience will not find one here; the soundtrack mainly works well in game by really pumping up your adrenaline, but lacks particularly emotional cues or innovative styles. It’s a blockbuster score to a blockbuster game: exactly what you’d expect, nothing more, and nothing less. Posted on October 26, 2014 by Harris Iqbal. Last modified on October 29, 2014. Seems like a pretty solid listen. I like the breakdown of the score! But what does the ‘artistic value’ column refer to? Thanks, for any review I do, I will be using this breakdown as I believe some of these criteria can really influence people’s decision whether to buy certain soundtracks or not. 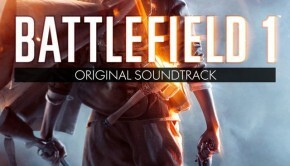 Especially with in-game functionality which I think a lot of game soundtrack reviews should mention as overlooking this can be a waste of the composers talent. A composer might plan the most intricate of ways to score a gameplay scenario, even work hard on it. So, it is only fair that we commend any work they may have done. Then of course, on the other hand if the composer or designers haven’t worked with the implementation properly, it should reflect on the overall review of the said game’s soundtrack!